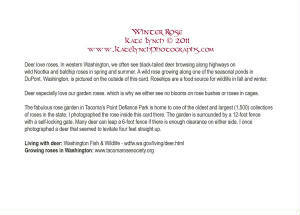 For my friends and neighbors in western Washington, these holiday cards include information on the back about the area. 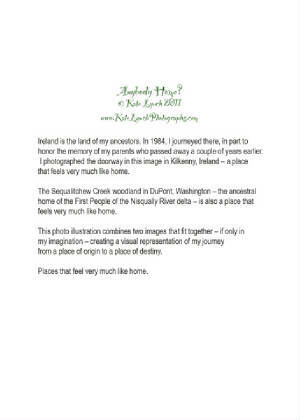 Many of my DuPont neighbors are in the military and like to share our beautiful part of the country with friends and family. 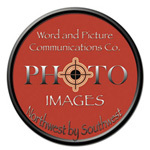 Order any quantity through my Zazzle store and customize with your own message or signature. You can also remove the information on the back of the card if you prefer. 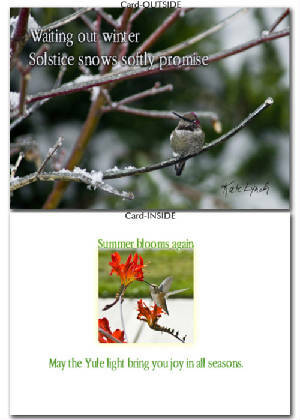 ANY image in my galleries can be used to create a holiday card. Please email or call me to arrange. 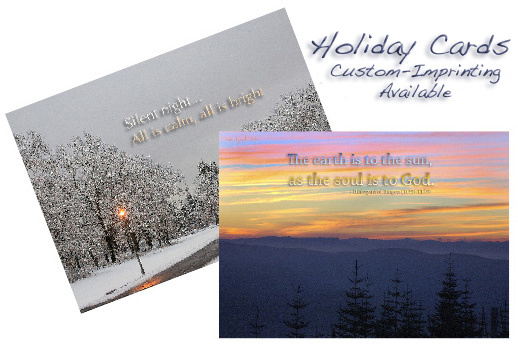 Click on link to order cards - all can be personalized. 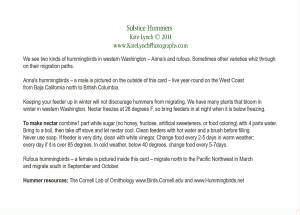 Matching postage and return address labels may also be ordered from my Zazzle store. 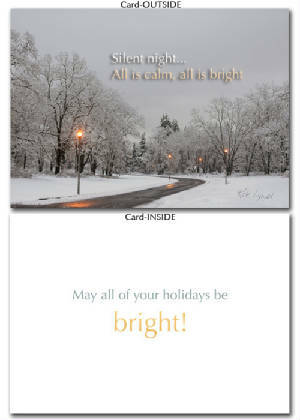 INSIDE: May all of your holidays be bright! INSIDE: Summer blooms again. 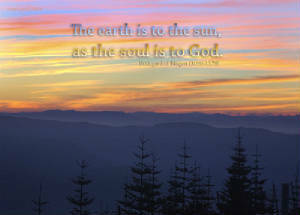 May the Yule light bring you joy in all seasons. 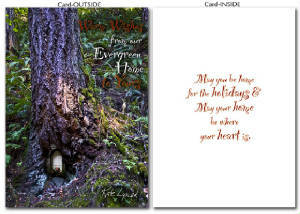 INSIDE: May you be home for the holidays & May your home be where your heart is. 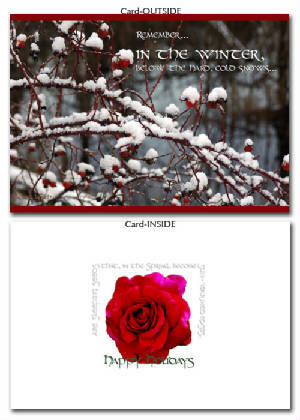 INSIDE: May the warmth of the holiday season light your soul with joy. 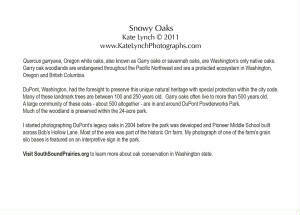 DON'T FORGET - 2009 Pacific Northwest calendars!